Most of the time, I would choose to use Eyelid tape over Eyelid Fibre. Reason being, I am too lazy to put Eyelid Fibres on! There's 1 more extra step, which is to cut off the ends of the fibre. Picture from my Camera. 30 pieces pack. you will need to 'master' your skills on Eyelid tapes first. 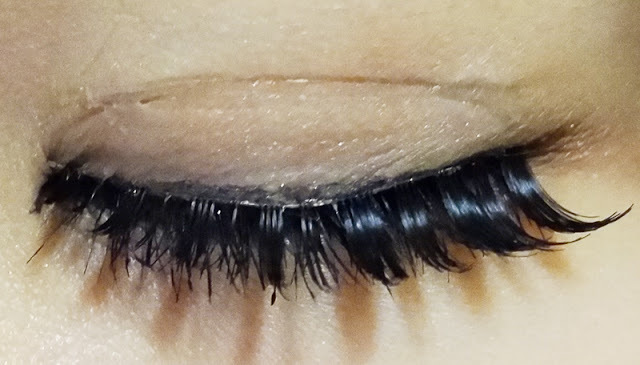 If you can't put on eyelid tape at one go and need to keep removing it to and put in on again to be able to achieve the parallel eyelids that you want, you will definitely have difficulty with eyelid fibres. When you want to use these fibres for the first time, you will definitely not get the technique straight away. It takes practice, practice and practice. You really need to keep practising to get it on easily. One thing for sure, I wasn't that talent either, I practised. 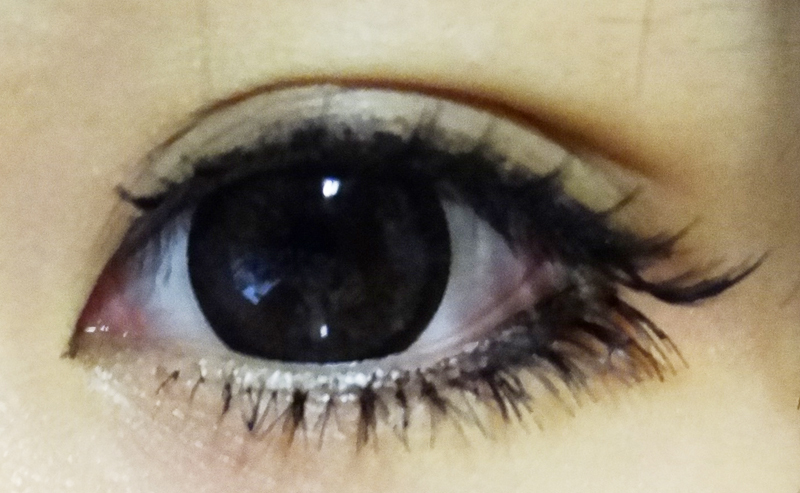 I practised a lot on my eyelid tape skills too, it's not easy to get it on like how I do now. So why choose eyelid fibre over eyelid tape right? Eyelid fibres are much more natural looking than eyelid tapes. You won't get pertruding plastic at the end of your eyes in order to get that double eyelids. Most of the time, people won't even realise that you're using something on your eyes. It's much more natural looking when you're without make-up too. Well, it's a girl's dream to look pretty and natural right? Why AB and not other brands? 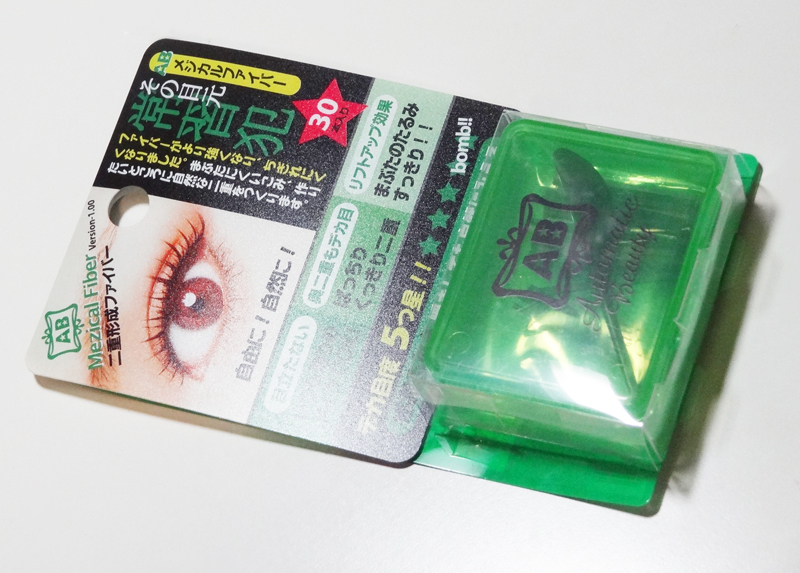 There are many eyelid fibres in the market and AB is the leading one in Japan. I was wondering what is the difference between these fibres. What I realised was AB is stickier than other fibres out there. I put on the AB fibre to realise that when I want to remove it 10-12 hours later, it was still sticking strong! I guess, I understand why the Japanese rather get AB fibres than those of other brands. I would recommend you all to try using cheaper fibres to practise before getting the more expensive one. Overall, I rate AB fibres 5/5 stars. It's the tip top quality compared to it's competitors. You can get them in the Haraju-cute corner in Guardian. Reviewed 100% by Kiyomi Lim.